Should your church take a position on the Creation? Find out with Dr. Jobe Martin on the show Christ in Prophecy. Last aired on September 11, 2011. Dr. Reagan: Is Evolution fact or theory? What is the relationship between the Creation story in the Bible and End Time Bible prophecy? What are the weakest aspects of Darwinian Evolutionary thought? And does it really make any difference whether a Christian believes in Special Creation or Evolution? For the answer to these and other questions concerning the origin of life, stay tuned. Dr. Reagan: Greetings in the name of Jesus our blessed hope and welcome to Christ in Prophecy. I have this week once again as my special guest, Dr. Jobe Martin, who is the founder of Biblical Discipleship Ministries in Rockwall, Texas. 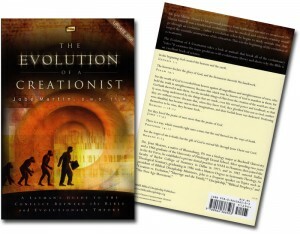 Dr. Martin is an expert on the question of Evolution versus Creation. Dr. Martin welcome back. Dr. Martin: It is good to be back. Dr. Reagan: I got the name of you ministry right, didn’t I? Dr. Martin: Biblical Discipleship Ministries. Yes. Dr. Reagan: We appreciate you being back with us again this week. And I also have as a special guest this week Nathan Jones, who is our Web Minister. Nathan is the newest member of our staff here, and he’s the one that talks back and forth with people all over the world through the Internet. When you send in questions he is the one who responds. Nathan glad to have you with us. Nathan Jones: It is great to be here and great to be with someone like Dr. Martin who is so knowledgeable about this subject. Dr. Reagan: Well I know that you have been looking forward to this for a long time. Nathan Jones: For months, yes. Dr. Martin: Well yes it does. And I think it comes down to who determines what is true, man or God. If you look at what is going on in the churches they won’t take a position, most churches just won’t take a position on prophecy or on the Creation issue. What does that do? It leads to wishy, washy Christians, because how do you get off track let’s say with prophecy. It is because you are off track back here in Genesis and you say well this could just be symbolical or allegorical or just poetry. So you spiritualize it and you say well we don’t know what the words mean exactly but we think they mean this. Then you get over into prophecy same thing, we really don’t what this means. And so it is important I think because if the Creation account is not true and the Bible says Jesus is the Creator, John 1, Colossians 1, Hebrews 1. So the Creator Himself has given us His word. In the beginning was the Word the Word with God, the Word was God, the Word is the word of Jesus. If the Bible is not true in Genesis if we can’t trust it, then we can’t trust Jesus to be the Creator, the Redeemer because only the Creator would have the right and the authority to be the Redeemer. So it all hinges on our view of Genesis, the rest of the Bible. Dr. Reagan: So you are really saying that the integrity of the Bible is at stake here? Dr. Martin: It is, it’s the authority and integrity of the Bible. That is exactly what it is. If we can take it literally, let’s take it literally, let’s not just try and decide okay, man will determine what’s true here. Dr. Reagan: It reminds me of Dr. Criswell who used to be the pastor of First Baptist Church in Dallas. He made the comment one time that most people believe the Bible is inspired only in those areas where they agree with it. Dr. Martin: That’s what is going on right here, I think, yes on these two. Dr. Reagan: I think that it is crucial. I must say, when I was growing up in the church I didn’t have any teaching about this, none at all, it was totally ignored. So when I went to college and took Biology and all that I decided well you know these guys must know what they are talking about. So I became a Theistic Evolutionist I just said it all evolved but God was in control of it. Then I discovered there were some real problems with Theistic Evolution. How about telling us what are some of those problems. Dr. Reagan: Very important point. Dr. Martin: Yeah, there’s been death, all kinds of death coming all the way up to Adam. And so that would mean that the sacrifice that God had to make when Adam sinned it would have no significance at all. So there are all these things that are just the reverse of what they need to be if you can say I can have Evolution and I can have the Bible. Evolution says billions of years. All you can get from the Bible is about 6,000 years. Dr. Reagan: When science first began to really challenge the Christian worldview, some Christians responded immediately with something that they thought solved the problem, called the Gap Theory. Dr. Reagan: A Gap Theory meaning there is a big gap in the Genesis account that isn’t accounted for there and that is the billions, and billions of years. What about the Gap Theory. Dr. Martin: Yes well we got the same problem. When we say there is a gap between Genesis 1:1 and Genesis 1:2 and that is where they put the gap. In the beginning God created then heaven and the Earth, and then gap, and the Earth is. Well what do we have? That means we still have a pre-Adamic race of people, that means people are living and dying before God said here comes death. Dr. Martin: Yeah. Cavemen idea, alright. And so they change the words like Genesis chapter 1 and the Earth was without form, formless and void. And they say it became that way. So they change the normal translation of the verb. And so they are saying that this Earth covered with water is like a flood judgment. Well the Bible never talks about two flood judgments; it only talks about one flood judgment, the flood judgment of the days of Noah. And so their putting something in there because of the influence of Evolutionary thinking, and the billions of years. And they’ve decided you know what we have to get that in there some how. We’ll just put billions of years right here between Genesis 1:1 and Genesis 1:2. They don’t have to do that. Dr. Reagan: You know in my own migration on this point I think the thing where I finally made the change was when I decided that the integrity of God’s Word was on the line, and His Word had to be held up. And the other thing that helped me to make the leap from one to the other was a point that you make in your book that is so very important to me. And that is the point that Special Creation always carries with it the image of time, the illusion of time. I mean if I go and I create a tree and I bring you out and say, “Look I just created this tree” You would say, “No this tree is 30 years old.” It always carries the image of this, right? Dr. Martin: Yes, well if we are going to believe how the Bible describes it. Nathan Jones: Too young to date. Dr. Martin: Too young to date, yeah but I am old enough now, but anyway 10 seconds ago. So we have to believe that God’s will create fully mature systems, they don’t look old, I mean they look old but they are not old in that sense. Dr. Martin: Then you look at His miracles, what did the Creator do? The Lord Jesus the first miracle water into wine. Well what was significant about that? Well John chapter 2, He put the water, turns it into wine they take it to the governor of the feast and, “Where did this come from?” “Well it was just water a few seconds ago, now here we have wine.” Well the wine tasted like aged wine. Now I don’t know how Jesus made it, but the fact is He took water and turned it into something, how many water pots? Six. How many days in the Creation week? Six. So what is He doing here? Dr. Reagan: Same way when He feed the 5,000. Dr. Martin: Yes, yes, He didn’t say, “We are making bread guys, let’s get the ovens out here.” Then dried fish, it is dried fish that He is pulling out of that basket. Yes. When they are going to come to get Jesus at the end of His life, Peter grabs a sword and aims to chop the fellows head off. I think the fellow ducked he gets his ear. Jesus picks it up puts it back on, no scabs, no stitches, no healing, no time. So if we are going to believe the Genesis account as it’s written. We have to believe we have a God, He doesn’t need time He is above time, He created time. He can do things that look like they need time they don’t need time. Yes. Dr. Reagan: Well Dr. Martin we’ve got lot more questions that we want to ask you. But we are going to pause here for just a moment to tell folks how they can get a copy of your wonderful book. Nathan Jones: Dr. Martin I had a question for you. Really it is more I want your take on this: A few years back the Institute of Creation Research sent out a poll to 649 Christian Colleges trying to find out if they teach the literal 6 day Creation. Now of the results that came back only 224 responded and out of those 224 only a 188 said that they teach the literal 6 days of Creation. And these are Christian Colleges and Universities. What is your thoughts on that? Dr. Martin: Well actually I would like to talk to the 188. Because in our experience a lot of these colleges because they know who their donors are, these Christian colleges they will publish we teach that. But yet you get to the professors that are in the classroom and they don’t teach that. We’ve had more flack on Christian colleges then we do on the secular colleges because of that very thing. I think what is going on is, these Christian institutions they want to be academically acceptable. So once you say that you are Young Earth, a Biblical Creationist, you’re wiped out academically, in the secular academic circles. And so it is pride, I think it is pride. And the pride has crept into the church and we want the world to think we’re smart. But they think we are stupid if we say it is a young earth, and so I think that is part of it. They love the approval of man more then the approval of God. Dr. Reagan: There you go. Well let me ask you another question, Dr. Martin, and that is: We often hear it over, and over like a broken record that Evolution is a proven fact and is no longer a theory. What about it? Dr. Martin: Hear that all the time. And then you have to say, “What kind of Evolution are you talking about?” Because there are all kinds of Evolution. Dr. Reagan: Alright explain that. Dr. Martin: Well for instance in the big categories, there is what is called microevolution, and then there is macroevolution. Micro that is little changes in things, but they are still a cow, you don’t see a horsy-cows, you don’t see chicky-ducks. There are changes there are different kinds of cows, different kinds of ducks. But the ducks will never change into chickens, and the cows will not change into horses. So microevolution is more adaptation, it isn’t really Evolution at all, but that is what they call it, because they want to be able to say, “Look at these little changes here. If those little changes keep adding up, we can actually get a big change and that horse will become a cow, or whatever.” But the macroevolution, birds become reptiles, or reptiles become birds. No, there is no evidence for that. And that is what they call the transitional forms, which is the code name for missing link. When I was in college they called the missing links the missing links because they were missing. And then they decided wait a minute that sounds too missing, let’s call them a transitional form. That will not sound as missing, they are still missing. Nathan Jones: What about the archaeopteryx, isn’t that supposed to be a transitional bird, reptile creature? Dr. Martin: You know about these things, hey Nathan, yeah. Dr. Martin: Well. Archaeopteryx is a bird; it has been categorized as a bird by the Evolutionary community. So it has feathers and it is a bird. Of course all we have are little fossils of it so. Nathan Jones: Three or so discovered so far? Dr. Martin: Not many, yes. But I think what goes on here is, they pick something and they need something in here, they need something let’s say between a reptile and a bird. But if you really think about it reptiles, what are they? They are cold blooded, dense boned for the most part, scales, teeth. What’s a bird? It is warm blooded, feathers, beaks and what is the other thing here? Hollow bones, so is there such thing as a partially dense boned, toothed beaked, luke-warm blooded, feathery, scaly, reptile-bird. No, but see that is what they talk about. Dr. Reagan: Well you just mentioned the fossil record and I always hear Evolutionist saying well we have the fossil record. Now when Darwin wrote he recognized that the fossil record did not prove his theory. As we develop and get more into it will prove it. Dr. Reagan: Has it proved it? Dr. Martin: Well no, that is why you have people like Steven Gould from Harvard, he’s passed away now. But he went away from Darwinian slow gradual Evolution to what is Punctuated Equilibrium. All that is, is most things stay the same all the time and then every now and then it is punctuated, boom, then you have a rapid evolution of something towards something else. He did that because he was our number one fossil expert, paleontologist in the United States. There is nothing there in the fossil record to prove slow, gradual evolution. Dr. Reagan: So a cat is still a cat, a dog is still a dog, a horse is still a horse in the fossil record. Dr. Reagan: You don’t have dats? Nathan Jones: It is the dating of the fossil record. When I was a teenager I went to church but then I went to school. And in school they taught me Evolution. So all my friends and I were trying to figure out, well how can we believe in Creation, how can we believe in Evolution and try to have some kind of mesh. And then as I started reading into the subject I read how they date the fossils. And paleontologist will date the fossils based on what the geologist date the strata. Well then I read that the geologist date the strata based on how the paleontologists date the fossils. Nathan Jones: Now I was like, wait a minute that is circular reasoning. Nathan Jones: How can they base a whole system on that? Now correct me if I am wrong the geologic column is the Bible of Evolution, right? Dr. Martin: Well yes, for sure. That is why they believe in a local flood. They can’t have a global flood, and put the whole thing down over a year. That would mean there is no time for Evolution to happen. So that is why, like a Theistic Evolutionist they are forced to believe in a local flood. Yes. Dr. Reagan: Well welcome back to our studio and our special guest, Dr. Jobe Martin, who is the founder of Biblical Discipleship Ministries, in Rockwall, Texas, and an expert on the issue of Evolution versus Creation. Our staff member Nathan Jones is helping me in our interview. And Nathan I want you to just jump in here right now and let’s talk a little about the connection between Creationism and Bible prophecy. So what do you got? Nathan Jones: Well as you know I am passionate about Bible prophecy otherwise I wouldn’t be in this ministry. And I am passionate about the Creation. Because it seems like people attack two areas of the Bible the most. They attack the beginning of it with Creation, and the end of it with Jesus Coming back. And in the end they cut out two of the most important parts about God’s plans for the ages and then everything falls apart in the middle. Do you see that the spiritualizing, because it what the usually do they end up spiritualizing both sections, is causing a terrible collapse of doctrine? Dr. Martin: Owe I think so. Yes there is not doubt about that. As a matter of fact, for instance in the church at Laodicea alright, look what Jesus calls himself, I think this is a picture of the Church in the last days. Dr. Reagan: At a Bible Church? Dr. Martin: A Bible Church, yes. A Bible Church, alright. Nathan Jones: What about the 11,000 pastors who signed the Clergy Letter Project, to start teaching Evolution in the school system. I mean totally abandoning the Bible. Dr. Martin: Exactly, yeah. And what’s the last name of Jesus, the beginning of the Creation of God. He knows that in the last days the Church is going to depart from His Word, they are going to depart from the Creation, and so He calls Himself those two names. I think it is fascinating. Nathan Jones: Interesting I never thought about that when I read that. Nathan Jones: That is great. Dr. Reagan: Well I just think it is tragic that the average church today does no teaching what so ever on the beginnings or the end. Dr. Reagan: Those are divisive we must not take a stand on them so we will just ignore them. How do you tie together what is in the middle if you don’t have the beginning and the end? Dr. Martin: That is exactly right. And we can trust it from the beginning. Matter of fact, people say, “Owe yeah, that is just poetry that Genesis.” No Hebrew poetry is the structure is, subject, verb, object, like God created the Heavens. Well that is how it sounds in English. God created the fish, whatever. But in the Hebrew it is written verb, subject, object. Which means that is straight forward Hebrew historical narrative. And so what we have, it is not poetry is it not allegory, it is not symbol, it is straight forward Hebrew narrative. God told us what He did, the order in which He did it, He expects us to believe it that way. Dr. Martin: Well now Dave you have to go back to verse 9, He is talking to people, and He says to the people, “Six days thou shalt labor and do all thy work.” Well we know what those days are, right. Dr. Martin: Nobody goes out and works 6 billion years. Dr. Reagan: So are you saying in verse 9, He is speaking literally but when He gets to verse 11, He is speaking figuratively? Dr. Martin: That is what people say, but no. What’s He saying? He is saying I want you to know that in a 6 day week that is made of the same kind of days you work, I worked. And within that 6 day week that is made up of the same kind of days you work, I made everything that I made. I made the Heaven, I made the Earth, I made the sea and everything in them. So yes, that’s an excellent point. Nathan Jones: I talked to a priest once who was real concerned about, He basically spiritualized the Bible and of course he was wondered why no one was attending his church anymore. But one of the things he said to me that always stuck with me, he said, “Well there are two Creation accounts in Genesis, therefore we can’t take Genesis literally.” Are there 2 Creation accounts, and are they totally different? 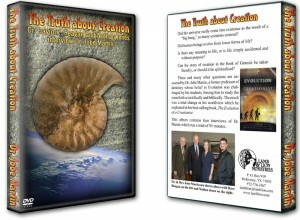 Dr. Martin: Well no there is one Creation account, Genesis chapter 1 is the big picture. Genesis 2 pretty much focuses in on day 6 in the Garden. And, but one of the arguments they will use is, well God changes His name. Genesis chapter 1 consistent Elohim, God did this, said this made this. Genesis chapter 2:4, now He changes His name to Lord God. And they say, ah, has to be 2 authors has to be 2 Creation accounts. Why would He change His name after being so consistent? Different purpose. Okay. In Genesis 1, God creates the universe, climaxes that Creation of man. Genesis 2, God takes man into marriage. Okay, Yahweh Elohim, the Lord God, the covenant keeping God, He changes His name to that in Genesis 2. The covenant keeping God is going to take man into his covenant keeping relationship. So there is a different purpose in the use of the different name. But no there is not two different Creation accounts. There is an amplification of day 6, and what goes on in the Garden in chapter 2. Dr. Reagan: Dr. Martin it seems to me like that the bottom line in this whole debate, when you get right down to it, particularly those secularist, is that they are adamantly and vigorously apposed to Creationism because if there is some intelligent design if there is a God, then they are subject to Him. They are responsible to Him. And they do not want to be responsible to anyone but themselves. Isn’t that really the bottom line in this thing? Dr. Martin: Yes it really is. And then basically that is what God says, man he is going to believe these things, he loves delusion, he is going to believe the lies. And yet God reveals Himself to us two primary ways through what He has made, and through His Word. Dr. Reagan: And one of the results, it seems to me it is something that we see very prevalent in this country today, and that is people end up worshipping the Creation rather then the Creator. I just got back from a meeting in Los Angeles, and when I go to the West coast of the United States, I see people whose religion is Mother Nature. They don’t worship Father God, it is Mother Nature. You want to do something spiritual you stroke a salmon, you hug a tree. There are people sitting in trees out there to keep them from being cut down, because they worship this. Isn’t this the result of people worship the Creation? Dr. Martin: Yes, yes. Well what does God say, Romans 1, they are going to worship the creature instead of the Creator. Dr. Martin: And that is what we see, exactly. I mean the Bible is right up to date in every issue, it is right up to date. Nathan Jones: He let’s know before hand. Nathan Jones: It is funny that you mentioned that, because in Guatemala they just legalized nature to have human rights so if you cut down a tree it is equal to killing somebody. Dr. Reagan: Well folks that is our program for this week. I hope it has been a blessing to you. And I hope you will join us again next week when Dr. Martin will once again be our special guest. Next week we plan to talk to with Dr. Martin about the impact of DNA on the Creation versus Evolution debate. And I am going to ask him to assess the impact of one of the worlds leading atheist who recently announced that he has come to believe in Intelligent Design instead of Evolution. Well Nathan why don’t you just wrap it up with one last question. Nathan Jones: Certainly, we’re Bible Prophecy Ministry and it is really hard to get pastors to want to teach Bible prophecy. You are a Creation ministry, what advice or encouragement can you give pastors who are reluctant to teach on the Creation. Dr. Martin: Well first of all you have to love these guys. I mean they have everything coming at them, from every different side. And they deal with every kind of problem and many of them don’t have time to study on these things. But I would encourage them if they don’t have time to study up on it to invite someone like you all to come into the church and do a seminar on prophecy, or someone like us to come in to do it on the Creation, Evolution issue. But I think the main thing is we just have to love those guys. Many of them I think are kind of mislead, the seminaries are misleading them. And they are going to go through seminary and come out and they don’t realize the spiritual impact that the true study of prophecy and the Creation, Genesis to Revelation can have on their congregation. It, once they really believe, people believe Jesus could come for me right now it is like a motivation to godly living. Dr. Reagan: Plus there is no way that anyone can truly develop a Christian worldview without an understanding of how it all began and why we are here. I mean the purpose of why we are here, why we exist, it all goes back to Genesis, and it’s got to be taught. Dr. Martin: Exactly, exactly. So you say, “Why isn’t it taught?” Well I think fear, fear and, “There is a way which seemeth right unto a man, but the end thereof are the ways of death.” Proverbs 14:12. Evolution for instance robs God of His glory. He says I won’t share My glory, Isaiah 48:11. So we pull back from teaching things that maybe are a little bit divisive, but Jesus wasn’t worried about that, was He. Dr. Martin: He came right in and said here is the truth and it was divisive. Dr. Reagan: Dr. Martin we are going to have to bring the program to a close so why don’t you tell the viewers very quickly how they can get in touch with your ministry. Dr. Martin: Well to get in touch with our ministry probably the best way is by going to, we have two web pages, one is www.biblicaldiscipleship.org. The other one is www.EvolutionofaCreationist.com. Dr. Reagan: Okay great, and then one final thing. Would you just look into that camera and tell anyone who is watching who has never accepted Jesus what you would encourage them to do. Dr. Martin: Well I would encourage you first of all realize that the Bible says Jesus is the Creator, John 1, Colossians 1, Hebrews 1. If Jesus is the Creator then He has the right and the authority to be your Savior, to be your Redeemer. And He says we have all sinned and come short of the glory of God. But He also says to us that it is not His wish, or His will that anyone should perish. And He says he commends, He demonstrates His love towards us, while were yet sinner, Christ died for us. We don’t have to work up some sort of worthiness, He says I will take you right like you are. So we have to humble ourselves and say, “Lord Jesus I believe, I am a sinner you know it, I know it. I am receiving you as my Savior. Would you please forgive me of my sin?” John 3:16, “For God so loved the world that He gave His only begotten Son that whosoever believes in Him should not perish but have everlasting life.” Put your belief in Him, He is your faithful Creator and your faithful Redeemer.